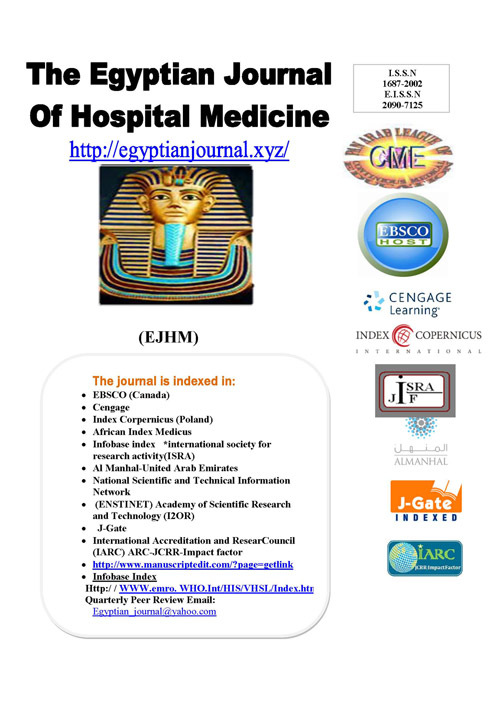 "Development Of Primary Health Care Based On District Health System Strategy In Egypt"
H.M. El Ashmaoui; S. M. Girgis; Abd El Raouf, A.
Kandil H.T; Hassan Z.A; Abaza D.M; Abd. El Fattah . A.M. Influence of ionizing radiation on Cobra (Naja haje) and Cerastes cerastes venoms: Toxicological and immunological aspects. Interleukin –18 and other inflammatory cytokines as independent predictors of diabetic nephropathy in patients with type 2 diabetes mellitus.